Now it is time for a change of pace, or more specifically change of topic- I'll still write about Dracula, but with a twist. I have been posting about Vlad Dracul and Vlad Dracula for my past few posts. It’s time for a change. 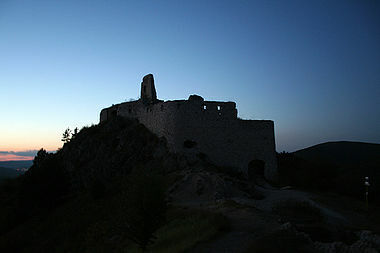 This time I have read about Elizabeth Bathory. She was actually a distant cousin to Vlad Dracula. She was a countess of Transylvania. 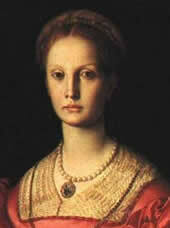 She was known as the Blood Countess, and sometimes the Countess of the Blood. 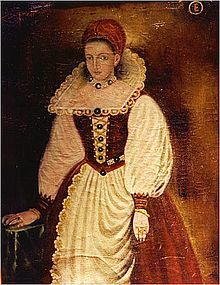 Elizabeth Bathory was a very vain woman during her time. She was raised as Magyar royalty and surprisingly had an active childhood. People who were around her knew that they had to praise and be enthusiastic about it. It was at the age of 15 that Elizabeth was married off, for political ambitions of her family, to a rough soldier of aristocratic roots. Once she was married Elizabeth found life to be boring on her new estate. She was rich, very rich, but also very bored. Since Elizabeth had a different way of seeing the world she found ways to amuse herself. Namely she brought in other people who saw the world as she did. This means that she would hire people who thought of themselves as witches, wizards, seers, etc. If there was a chance that they could be connected to the Devil, Elizabeth probably had one of them in her home or employment. They would teach her their arts, through nefarious means. What she was taught was cruelty in its worst form. The thing with Elizabeth though, was that it was not enough. At the age of 43 Elizabeth found herself single again. Her husband was stabbed repeatedly by a harlot that he did not pay- a rather bloody end. She was all for finding a new lover. She never really liked her husband, so to her there was no point in mourning for him. The thing was Elizabeth had reached the age of 43, and time had not been that kind to her. She also had the kingdom of Poland on her mind at this time. She was next in line after all. Finding a husband, or lover, was second to becoming King of Poland and gaining true power. Everything got started by a weird incident. Elizabeth hit a servant girl and drew blood where her nails scratched the girl. It was later on that Elizabeth realized that where the girl’s blood had touched Elizabeth’s own skin the skin looked younger and fresher . Of course she went to her alchemists for answers. Since they did not want to lose her patronage they told her a story of how the blood of a virgin girl was able to renew the skin of an older woman. Elizabeth thought that she had the solution to her problem of aging. All she had to do was bathe in the blood of young virgin girls, preferably pretty ones, and she would be able to maintain her own youthful looks. Elizabeth planned to take on girls, posing as someone willing to finish the education of the young girls. In reality Elizabeth was actually killing them and bathing in their blood-- unlike her relative Vlad Tepes. She got away with this for 5 years. When she was finally caught the total count was up to reported to be 600 girls. 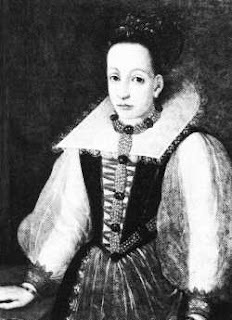 Since Elizabeth was nobility, and her cousin was King of Hungary, she was not allowed to be executed. So instead they decided to wall her up in a closet and let her die without any people to be near her.